Quater Horse Butts that is. 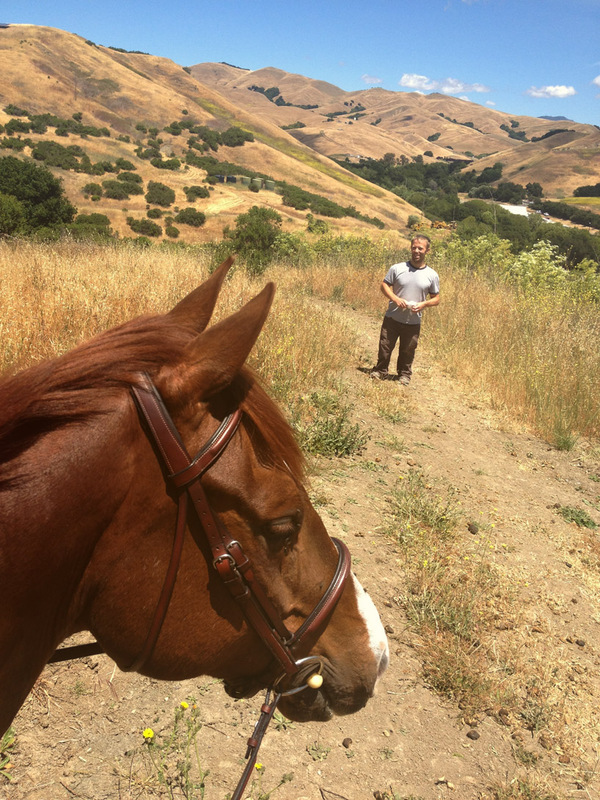 Paul stopped by the barn today and was game to join me on the short loop- so we did a trail ride. Well, he hiked. It's official! 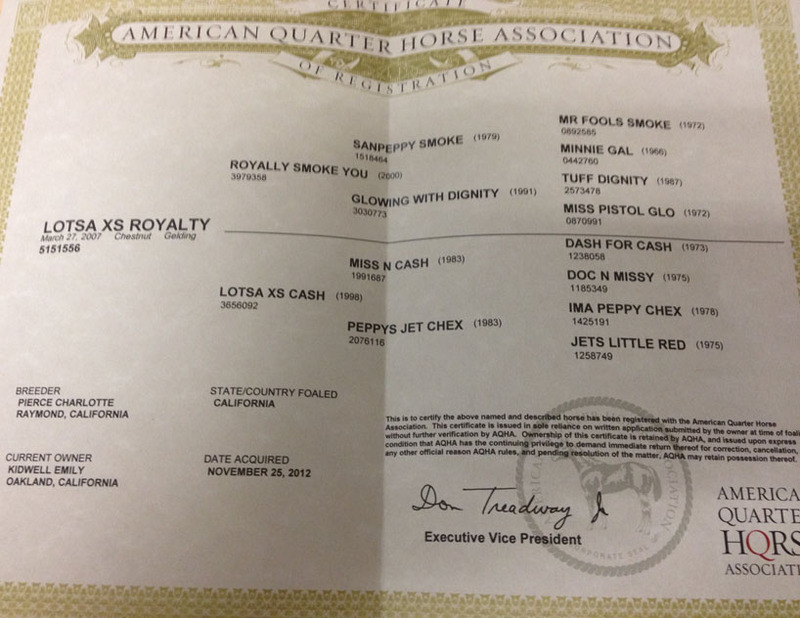 Wilbur is registered with the American Quarter Horse Association! 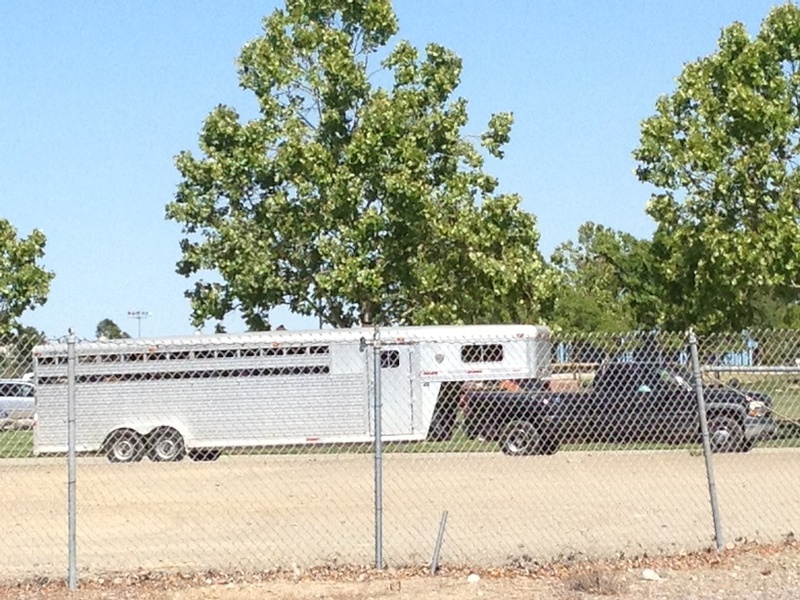 This is what Wilbur was up to when I showed up at Robinson's Park in Livermore this morning. Calmly munching hay. Which is pretty much what he did all day save for his walks to the show ground. I tried to lend a helping hand, since this was a KMT schooling show, by passing out ribbons. Quite challenging actually. 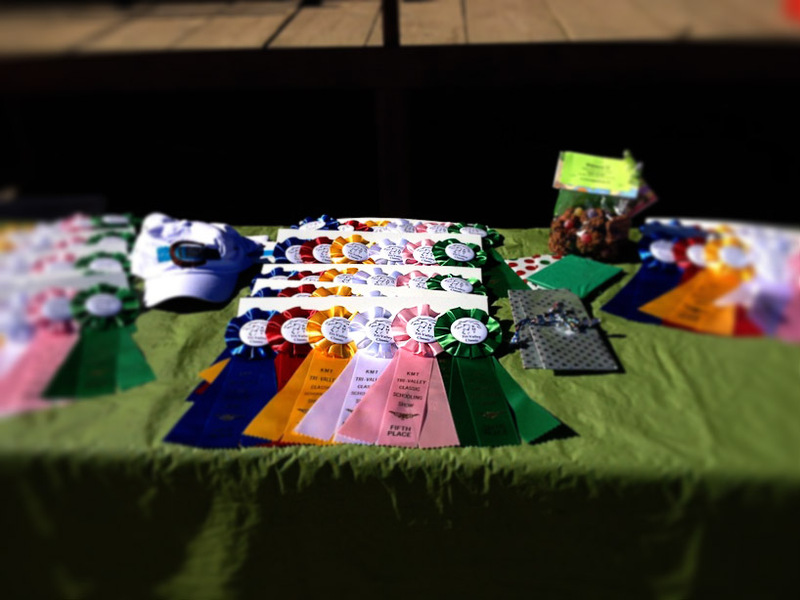 No one seemed really interested in picking up their ribbons right away so I mostly just stood around with handfuls of them. 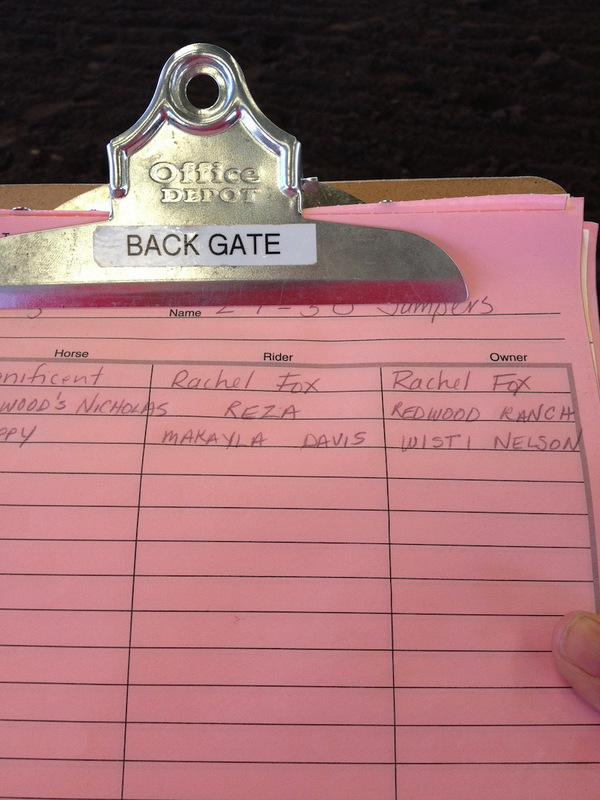 I found my niche in the back gate where I spent the time organizing the order and cajoling the pony kids to sign up for a spot. Wilbur and I get a portrait snap on one of our walks! He's looking for a treat and my pockets were stuffed full of them! 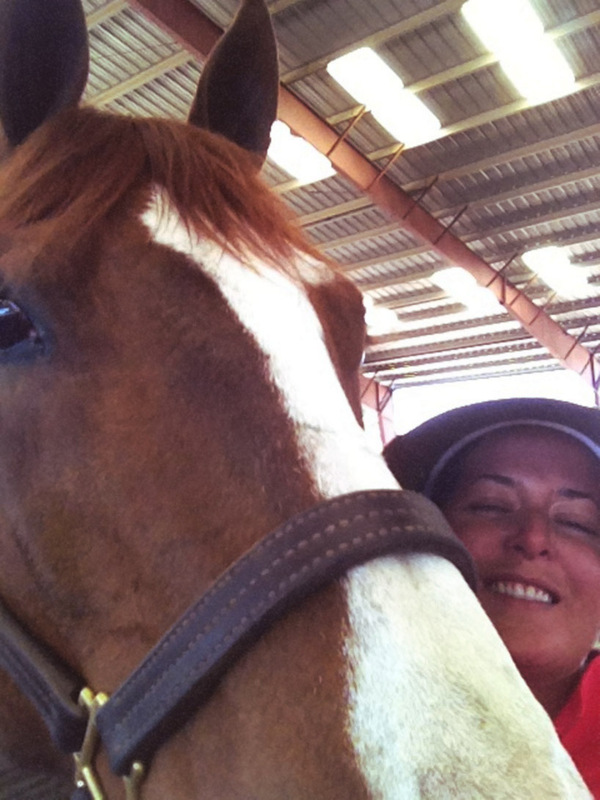 Selfie of Wilbur and I wandering around in the warm up ring! I KNOW you have treats mom! Heading back home at the end of a great day! Go Wilbur! 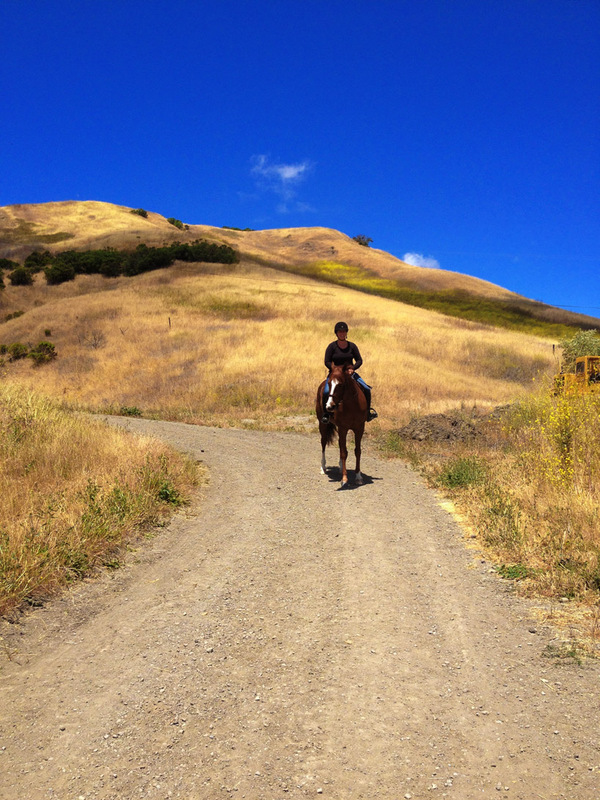 I'm hiking the trails behind my new friend, Dawn, and her horse, Pepper. Wilbur wanted nothing to do with any of us so I let him finish his dinner. 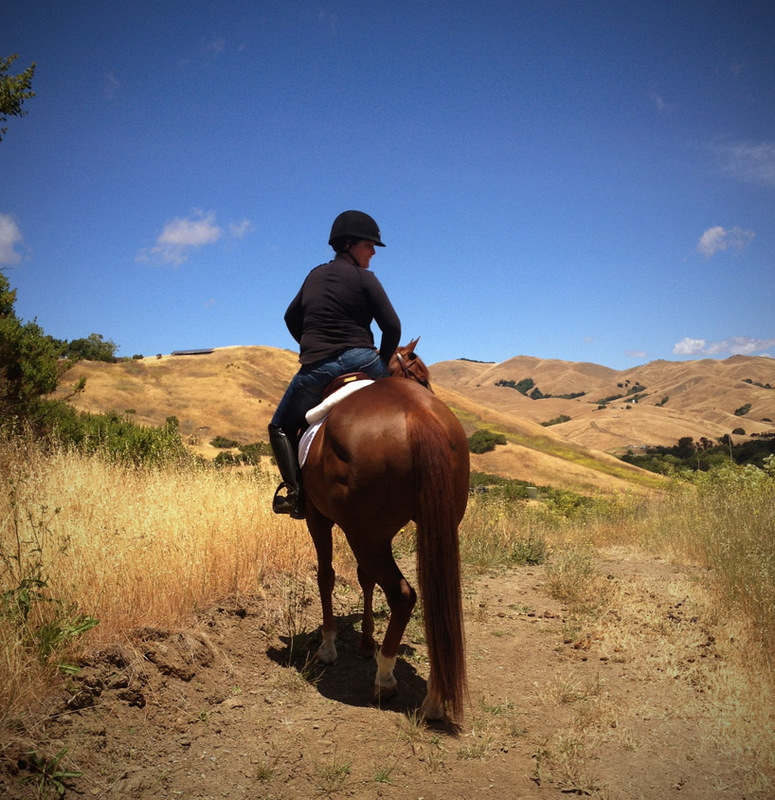 We had another great ride tonight. Mellow yellow getting ready and I can just feel in his body how loose he is. 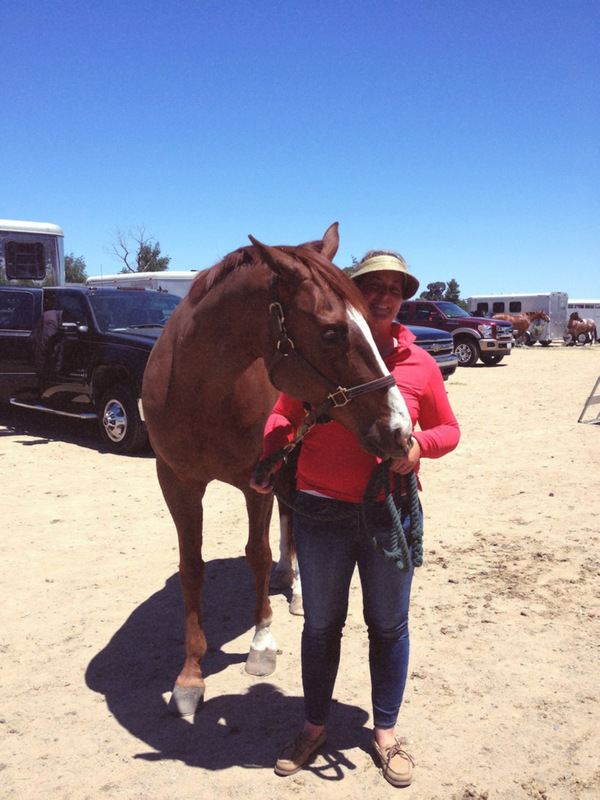 Alison and Amanda, the two assistant trainers who are riding him this week while Kelly is in Cabo, were both out teaching so I could ask how he had been going with them. Alison said that he put his head down to sneeze, saw a spot of sun on the ground, and leapt into the air. And that he flatly refused to go over the flower boxes. She coaxed him along until he finally tried to take a bite out of one. 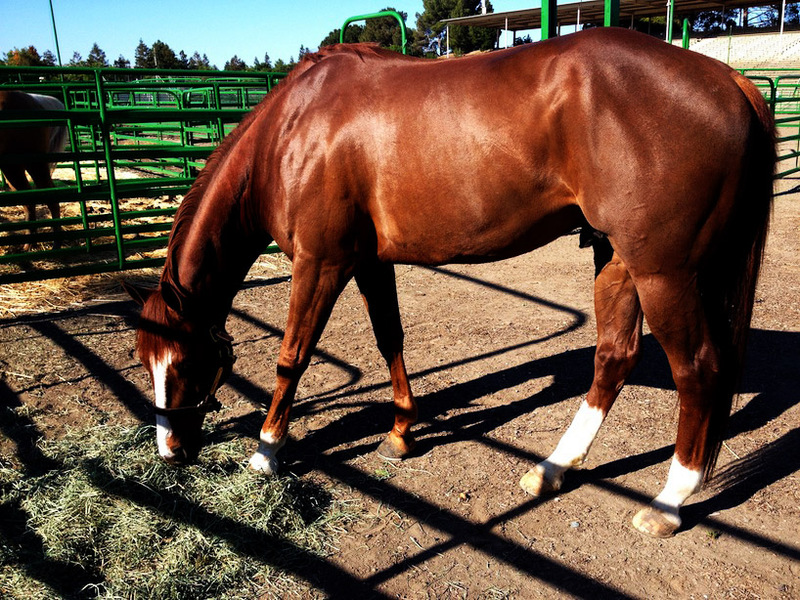 So we talked through giving him a little lunge before her ride tomorrow. Her goal is to get him over the flowers. 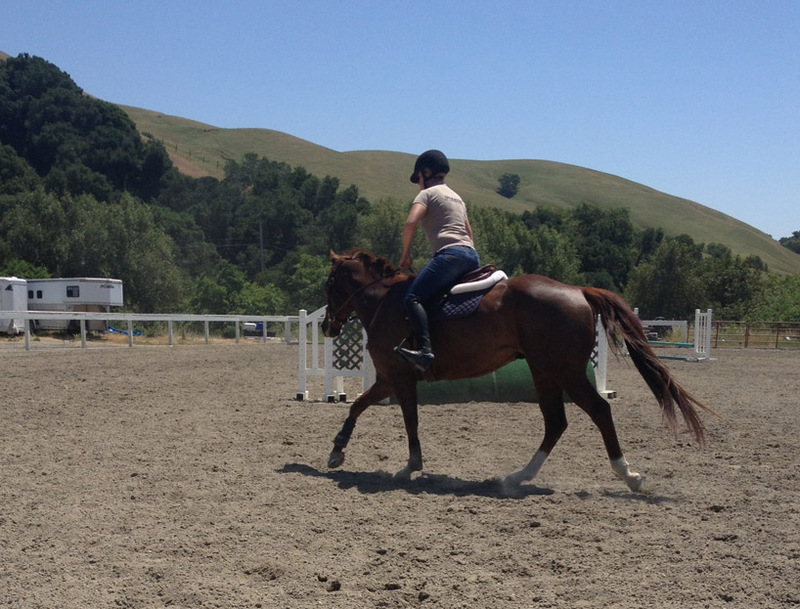 Amanda asked how far along he was in his jumping and said he was a little distracted by the other horses. Both said he was smart. Are we talking about the same Wilbur? 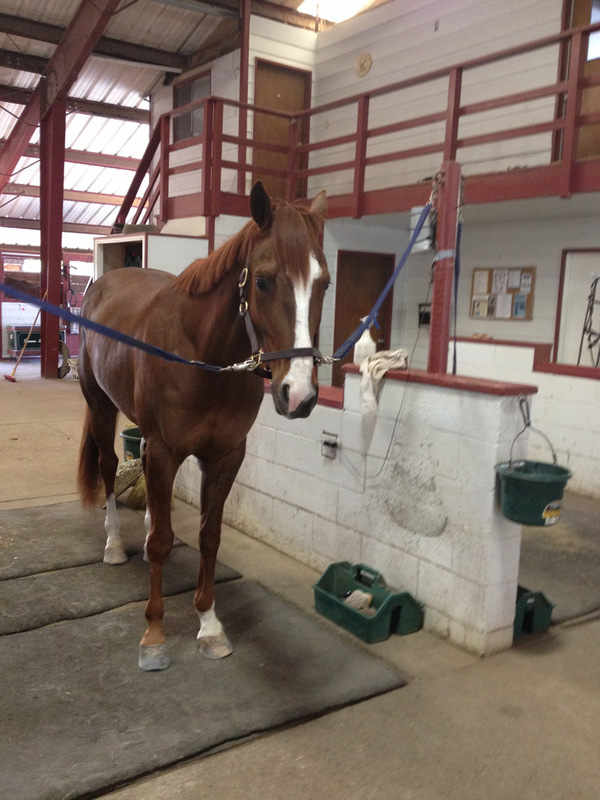 If his chill attitude is any indication, they're giving him a lot to think about during his training rides. Yay! Are you familiar with subscription services like Birchbox or Naturebox? So monthly you get a little box filled with treats to sample. Well guess what? 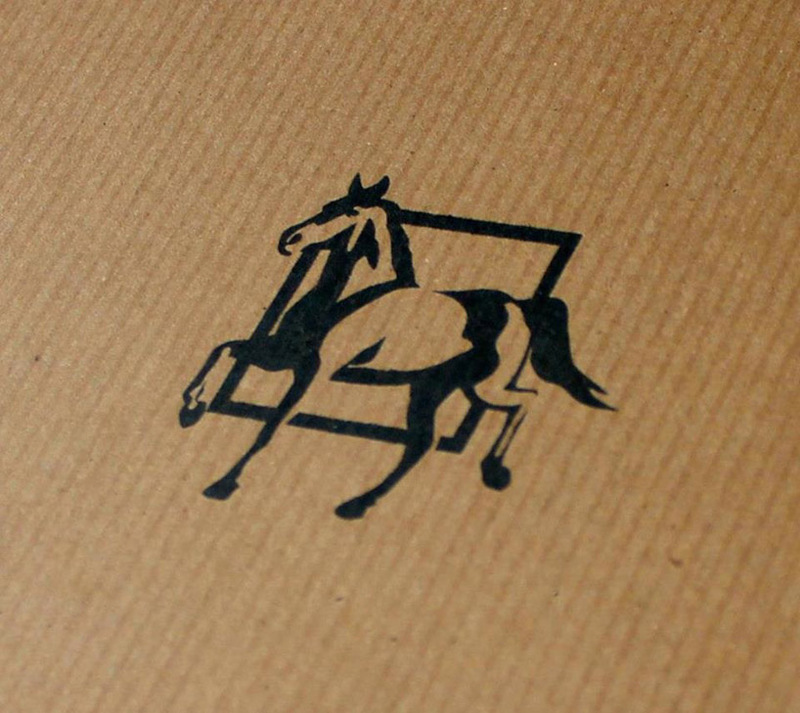 I'm subscribed to A Horse Box and eagerly awaiting my first box set to ship in just a few days! A fun little present that comes like clockwork. Tell me- what is better than a present? How about a new fun website & blog that makes me want to trot off and become a graphic designer? 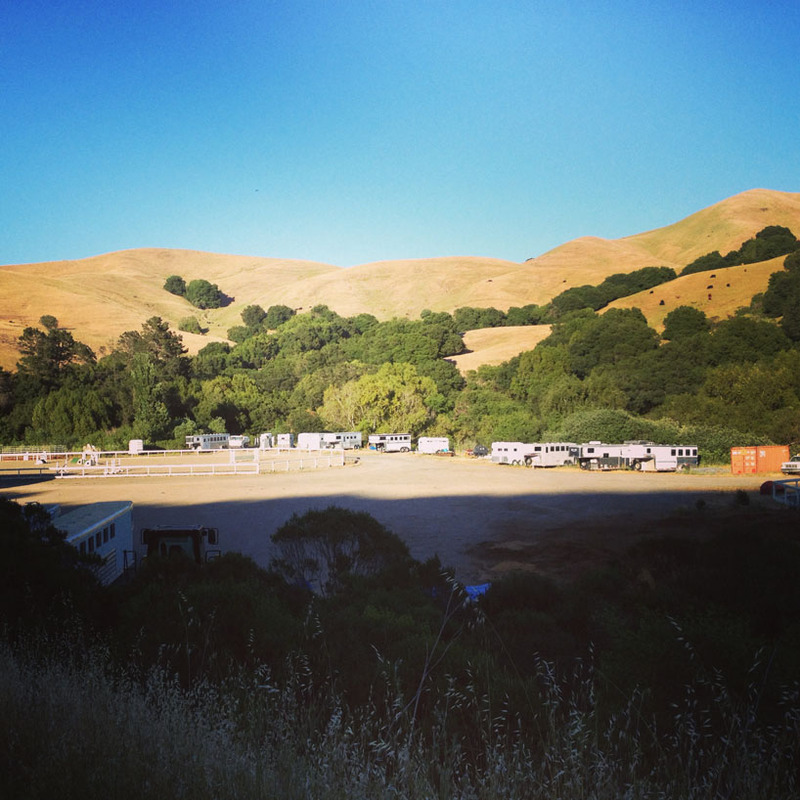 I discovered Erin's site after she wrote a review of A Horse Box. I've spent this evening perusing her blog, drinking wine, and ran across one of her portrait subjects (she's an equine photographer as well) wearing an adorable equestrian inspired watch (visit page 2 of her blog). Naturally I've spent the past hour scouring the world wide web for this watch. And I've come to the conclusion that it doesn't exist. Interestingly, if you're looking for photos of Kate Middleton (which, who isn't?) 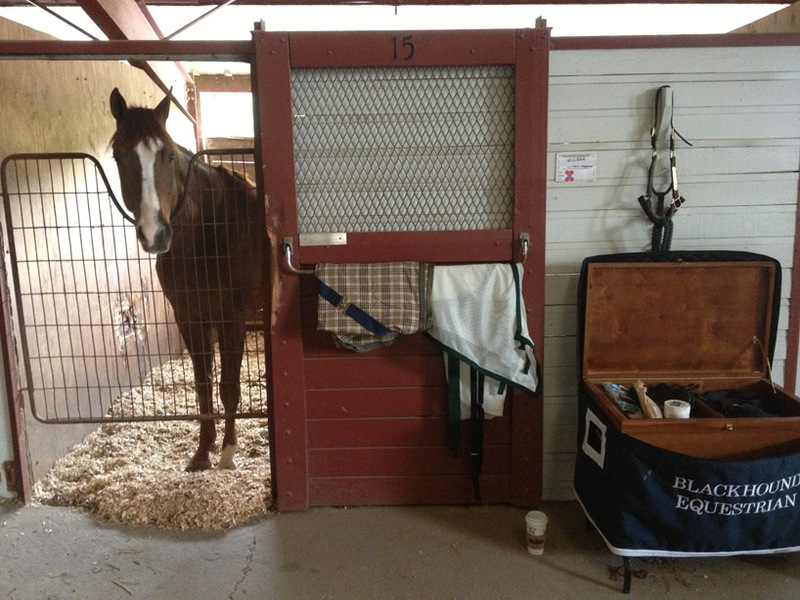 be sure to search for "equestrian watches" on Pinterest. 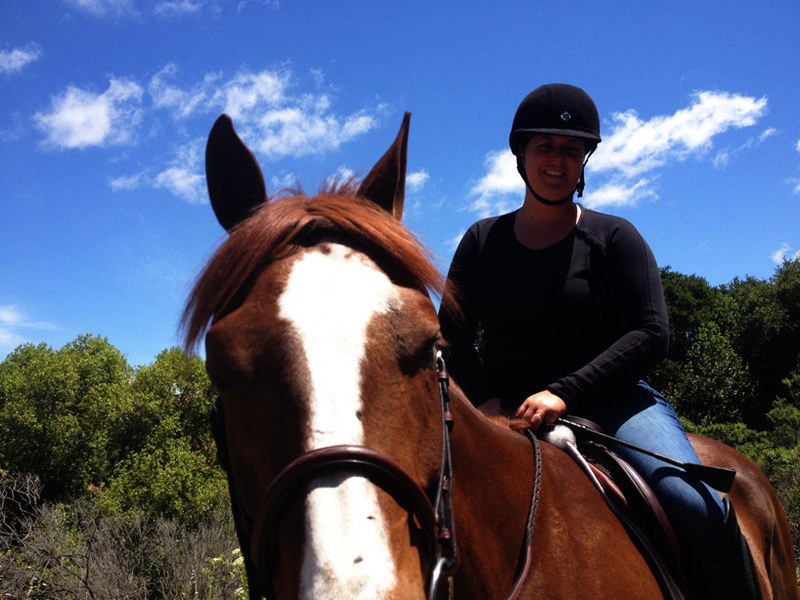 Wilbur was so happy when I stopped out tonight for a quick ride. 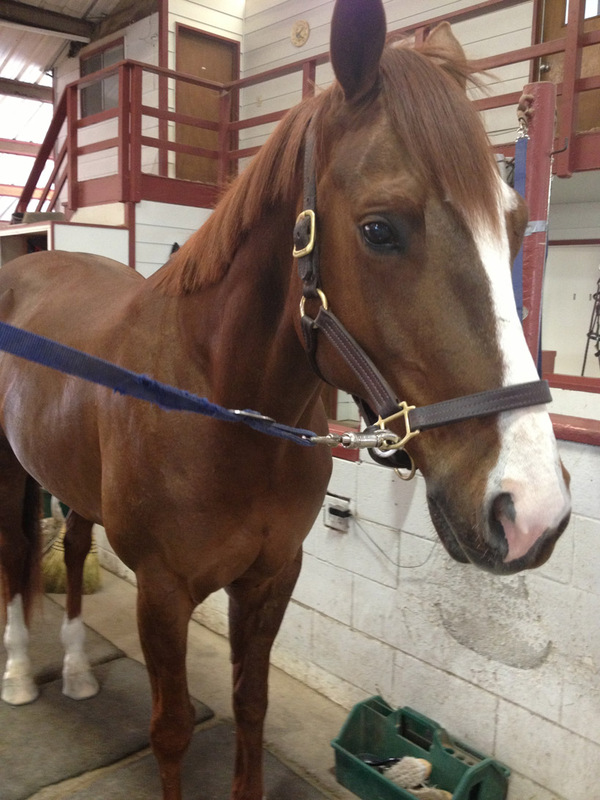 Emily and Abby both thought he was cute and it was nice that they stayed to chat while I groomed him a bit. And by groomed I mean ran a brush over him since he was already sparkly. 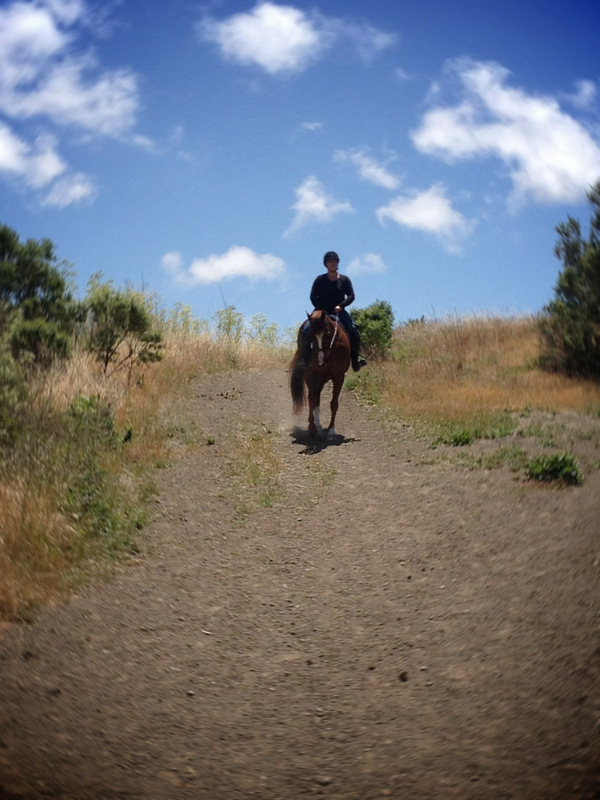 Alison said that Amanda (who rode him today) said he was a good boy. Clearly hearsay but I'll take her word for it. 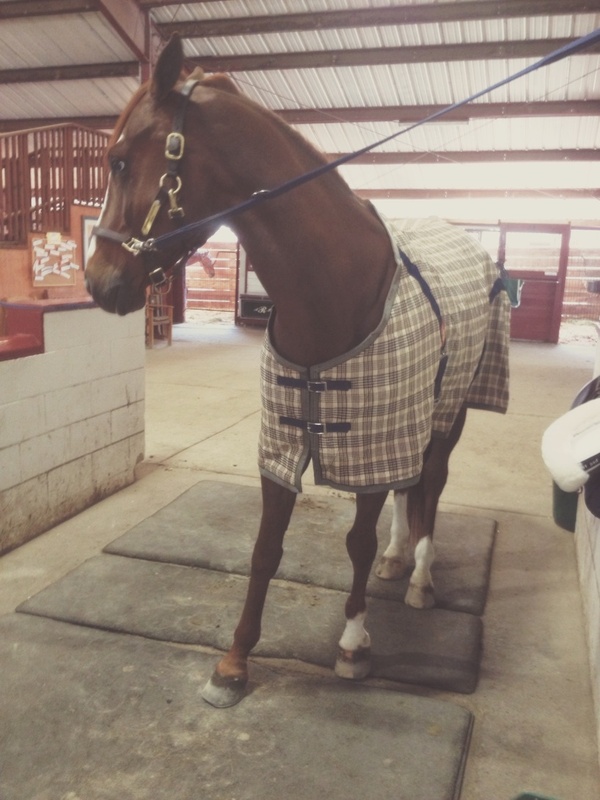 He had, perhaps, already been in the big outdoor ring because he was perfectly content to march around without looking at too much. 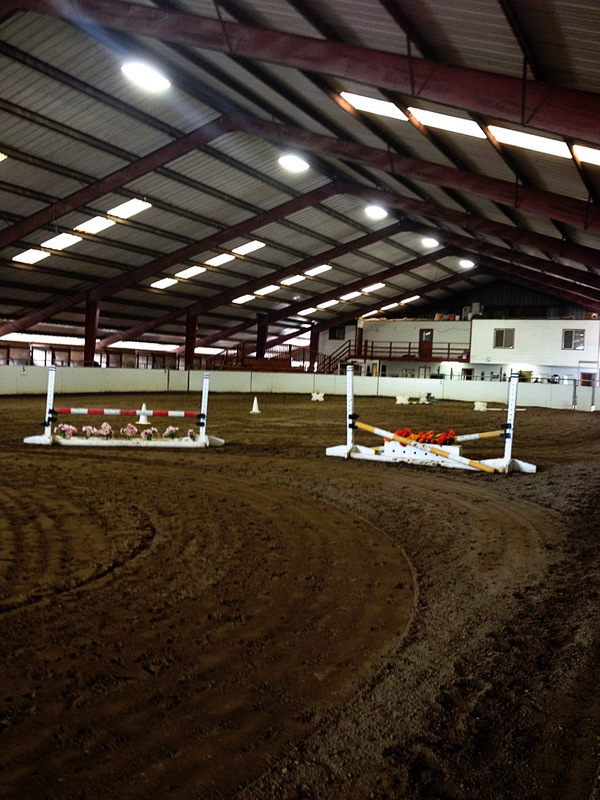 Below is a shot from Wilbur's stall looking into the indoor (one of two indoor arenas) that we'll use when the weather turns. Wilbur moved to Shiloh West on Friday to join the Kelly Maddox Training team. 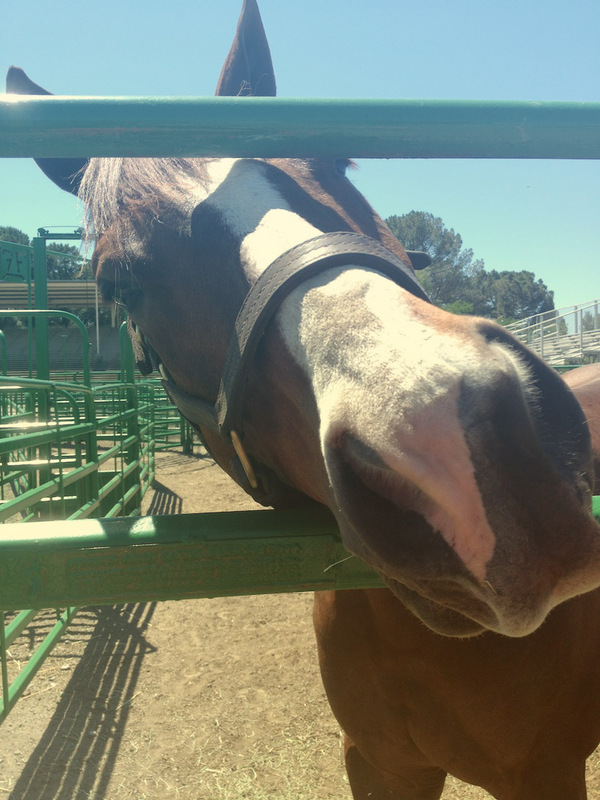 It took him a moment to settle in- he was quite chatty and wanted to let everyone know he had arrived. 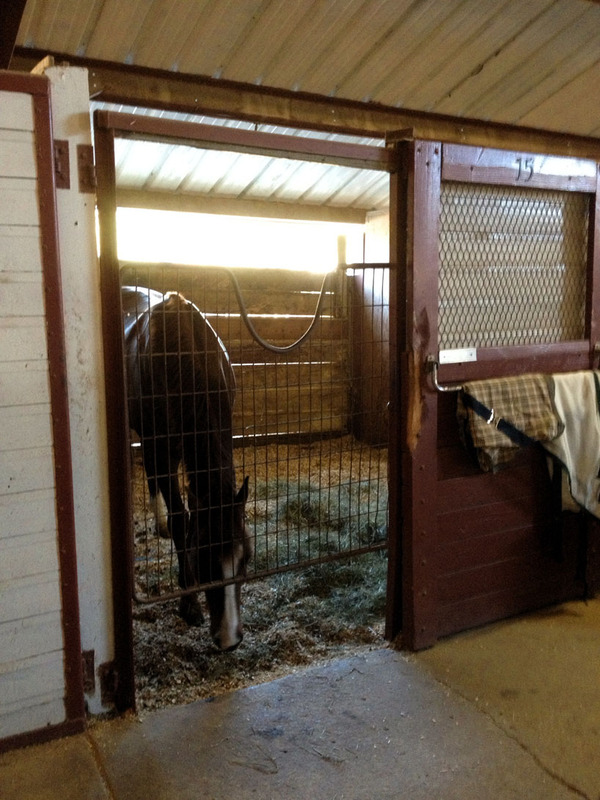 It's never easy to leave a barn or trainer. Facility and training aside, Wilbur's daily care is, to me, the most important thing. The peace of mind in knowing that he has a routine in place that will allow him to thrive. I believe we've found a great home with Kelly and am excited to be part of the KMT team!